We know equity release is a big decision to make and understanding all the facts and terminology is important to ensure you decide on what's right for you. To help you understand all the jargon that you may read when learning about the equity release process, we've created our handy A-Z glossary below. APR (Annual percentage rate) - The annual rate charged for borrowing, expressed as the actual yearly percentage. Beneficiary - A legal person or entity that would receive money or other benefits from an individual. Compound Interest - Also known as roll up, this is interest that is added and paid on interest that is accrued on a loan such as a lifetime mortgage. Drawdown plan - A lifetime mortgage with the option to release smaller amounts, after taking an initial lump sum. 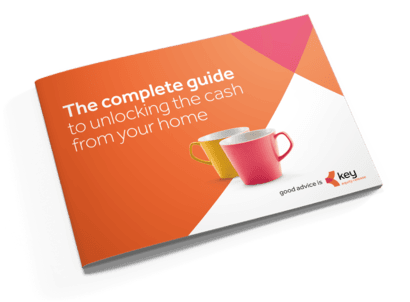 * Our challenge only applies when you've had a consultation with Key, and to Equity Release Council approved plans available at the time of your recommendation from Key.